He was born on 01-06-1965 in village of Tavalamarri located in Nallacheruvu mandal near Kadiri town, of Anantapur dist. A.P. He completed his elementary and high school education in his birthplace and Kadiri respectively. Then he studied B.A. in the S.V. Arts college, Tirupati. He obtained.M.A. Degree from S.V. University, Tirupati. He did his M.phil (1994) and ph.D (2009). 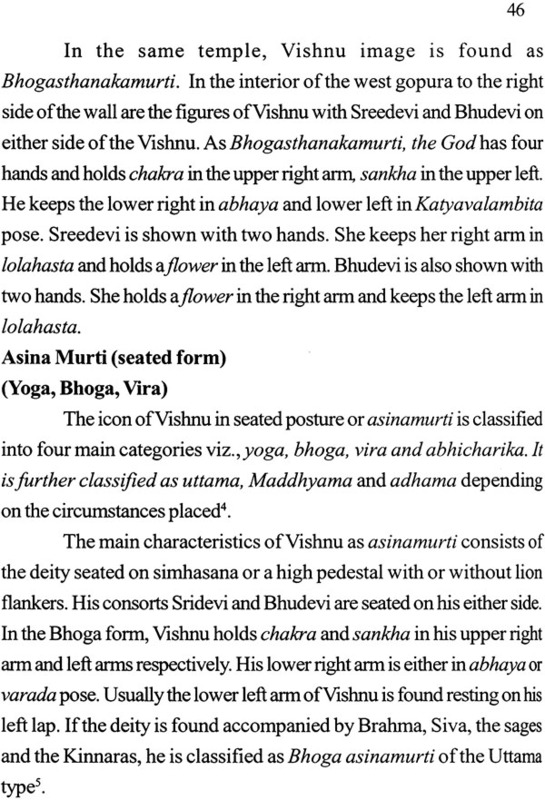 As well as he completed Diploma in Epigraphy (1995) and Diploma in Temple Culture (2001) S.V. 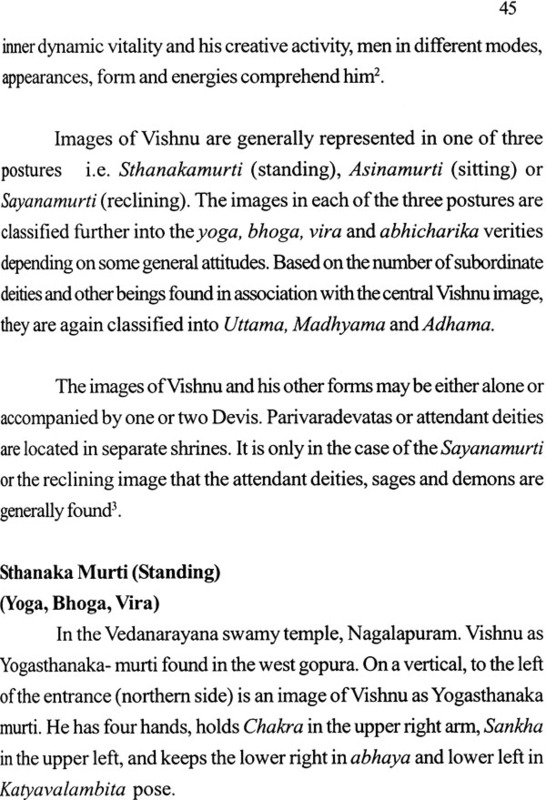 University and Sanskrit Vidhyapeetham respectively. He has distinguished academic record. He attended the many seminars and conferences and submitted papers. And also, he is one of the resource person in Sri Venktateswara employees Training Academy, Tirumala Tirupati Devesthanams. 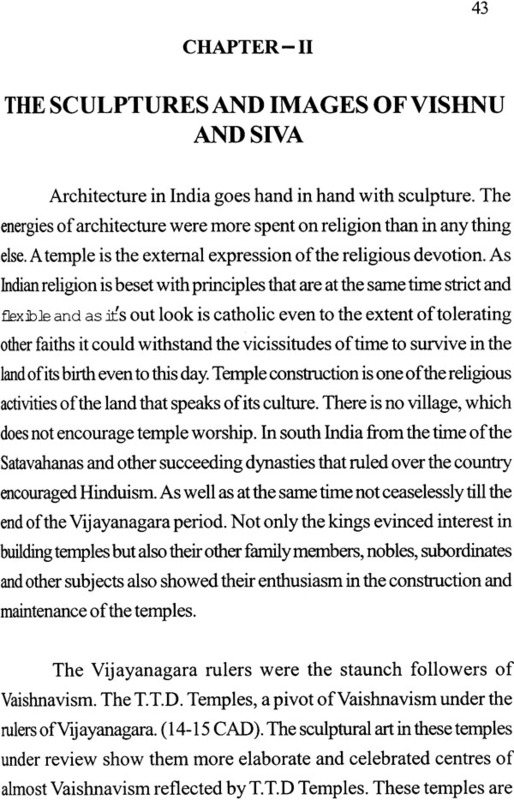 The temples of our country are not only sacred places of worship but also great centers of fairs and festivals, art and architecture, music; dance etc, the sculptural art of any temple reflects the contemporary religion of a particular period, when the temple was constructed. 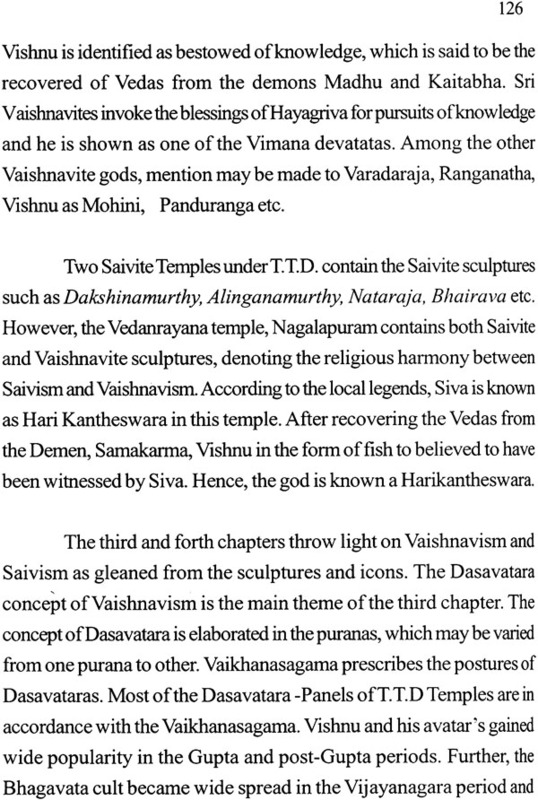 The Tirumala Tirupati Devasthanams, maintain 13 temples, known for their importance as religious and pilgrim centers, are also noted for their hoary past as revealed by the valuable inscriptions of different dynasties. 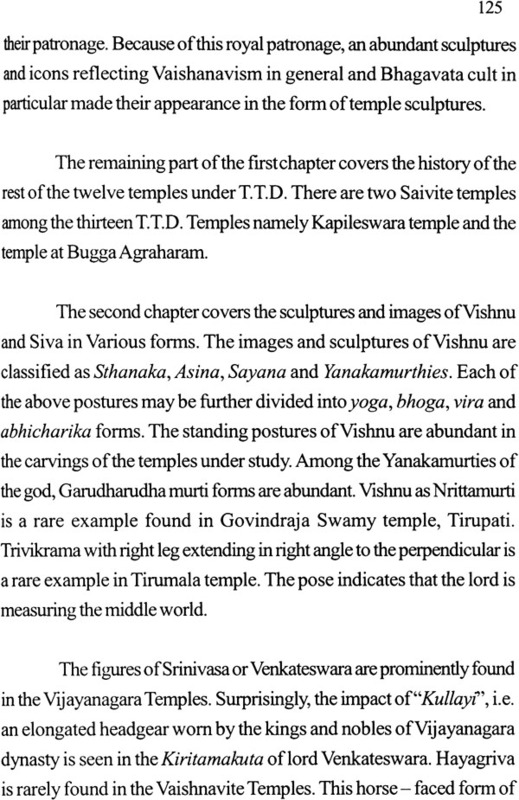 The temples were famous for their magnificent gopuras, prakaras, mandapas and vimanams. 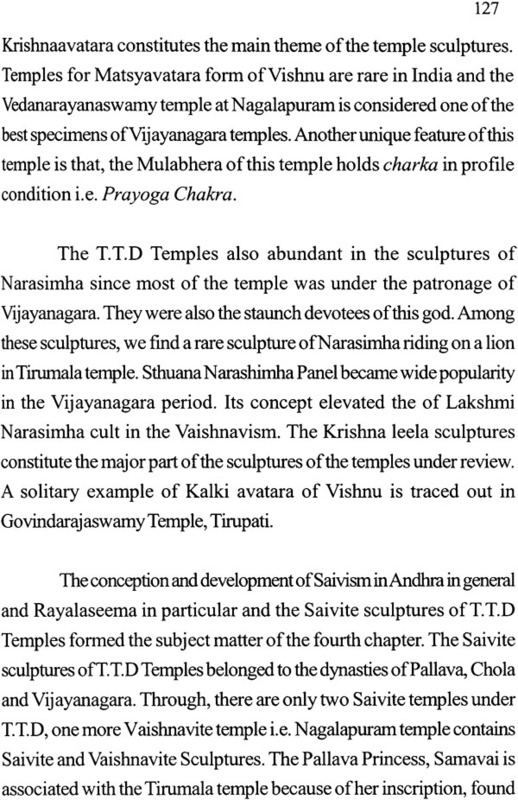 The sculptural art in T.T.D temples, reflect the upsurge of vaishnavism in its different facets. 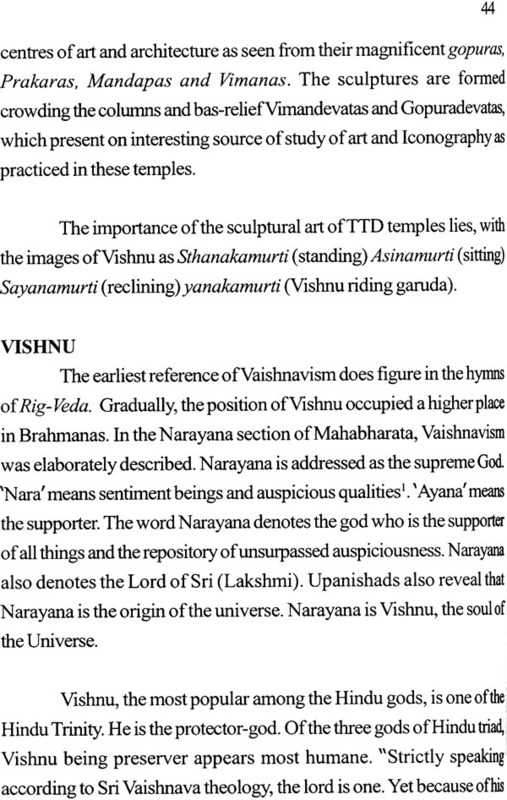 I am grateful to the Tirumala Tirupati Devasthanams and especially to its esteemed executive officer Sri I.Y.R Krishna Rao and Sri J. Yuvaraja, Joint executive officer who have evinced Keen interest in bringing out this book, as well as for extending one financial assistance. My thanks are also due to Sri C. Saila kumar, the chief Editor & Publisher. Dr. K. Ramana Editor & Publisher and Articles chief Editor, of Sapthagiri. I also thank D. K. Reddeppa, Professor of Ancient Indian History, Culture & Archaeology, S.V. University and my research supervisor to successful completion of my work.